When we speak of Singapore, one of the first things that comes to mind is food. From Hainanese Chicken Rice and Chilli Crab, to Kaya Toast and Ice Kachang, Singapore has it all. 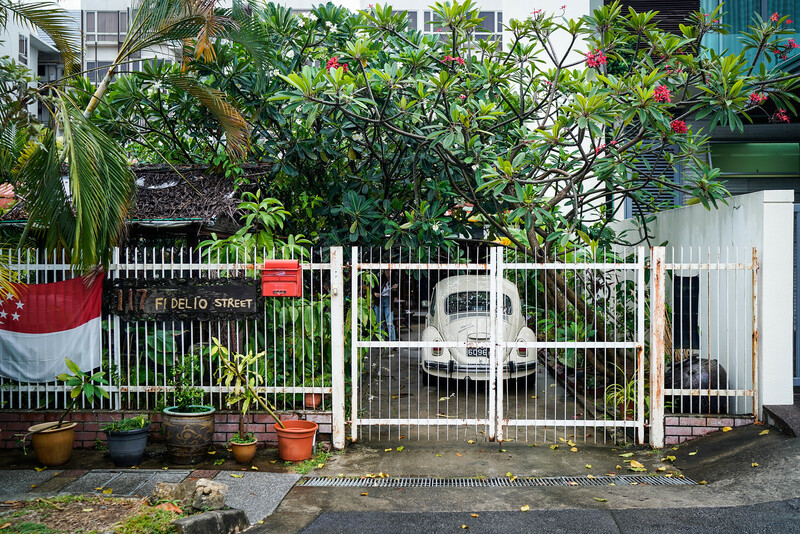 The local food scene excites and dazzles not just tourists, but everyday Singaporeans as well. Food connects people and is an avenue for us to appreciate the culture that it is derived from. If you truly love food, there are plenty of opportunities in Singapore that will allow you to fuel your passion. Seeing our local dishes renewed my fervour for cooking. A few weeks ago, I met Ruqxana, the owner of Cookery Magic. 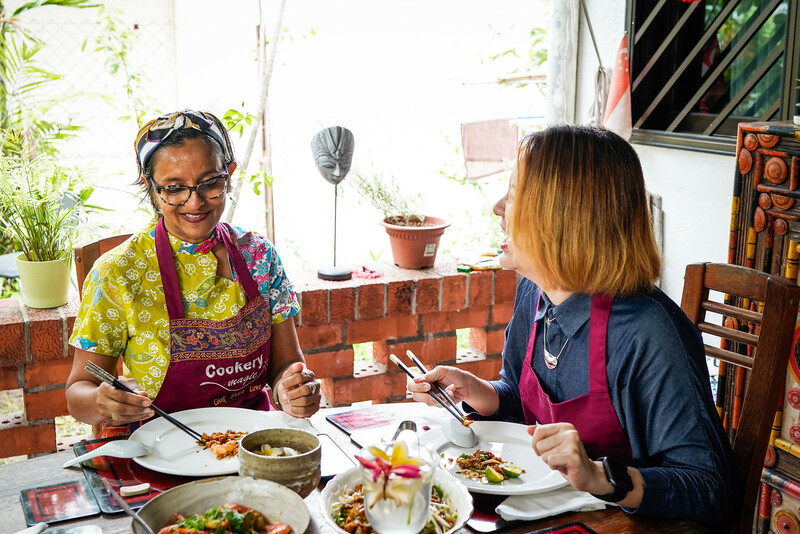 For the past 17 years, she has been teaching cooking classes in her home in Siglap, sharing authentic Singapore flavours with many international guests. Ruqxana has always enjoyed cooking, ever since she was a little girl. Even as a five-year-old, she would tear recipes off Nestlé tin cans and keep them in a scrap book. At the age of seven, she started experimenting in the kitchen, and by the time she was in her teens, she was cooking and hosting her friends in her home. I would assume that she is trained as a chef. But to my surprise, she was a mechanical engineer for over 15 years, before she left her job to pursue, and share, her passion in cooking. 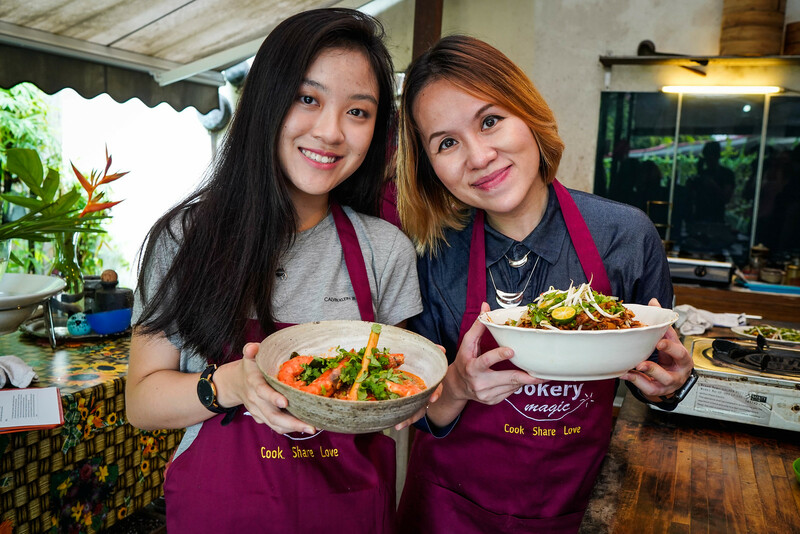 To date, Cookery Magic consistently ranks amongst the top 5 on TripAdvisor’s list of Classes & Workshops in Singapore. Ruqxana has an extensive repertoire of recipes comprising dishes from various ethnic groups (eg: Chinese, Malay, Indian, Eurasian and more). 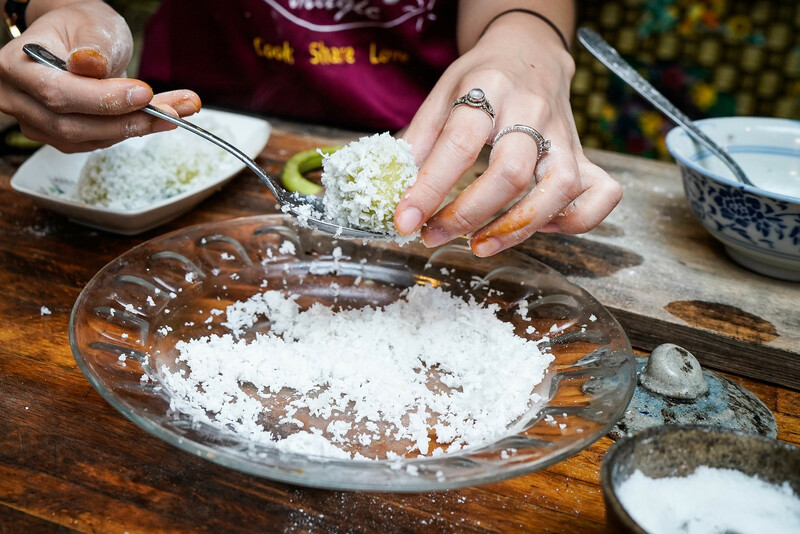 “Cooking has allowed me to express myself in so many ways, and to experience so many cultures, through the hundreds of amazing people I have met in my classes,” Ruqxana shared. 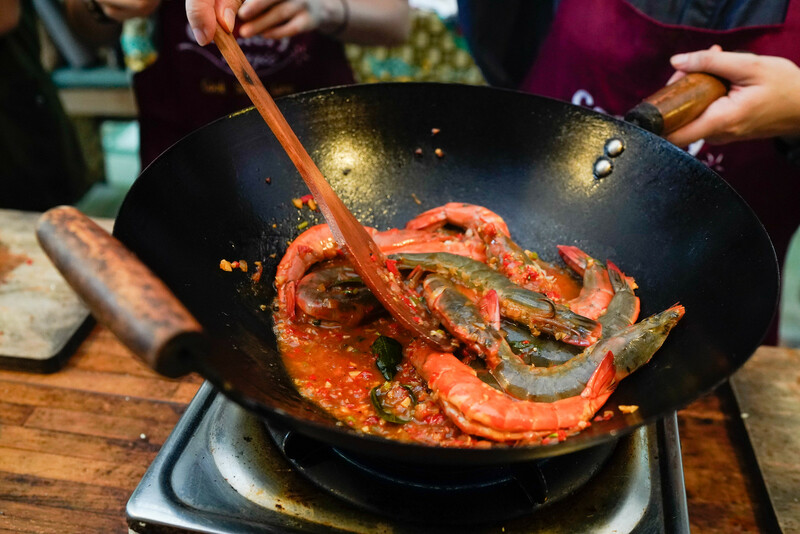 We took part in one of her classes at Cookery Magic and she taught us how to make Singapore Char Kway Teow, Chilli Prawns, and Ondeh Ondeh. Every morning before class, Ruqxana would head to Geylang Serai Market to get the freshest ingredients. 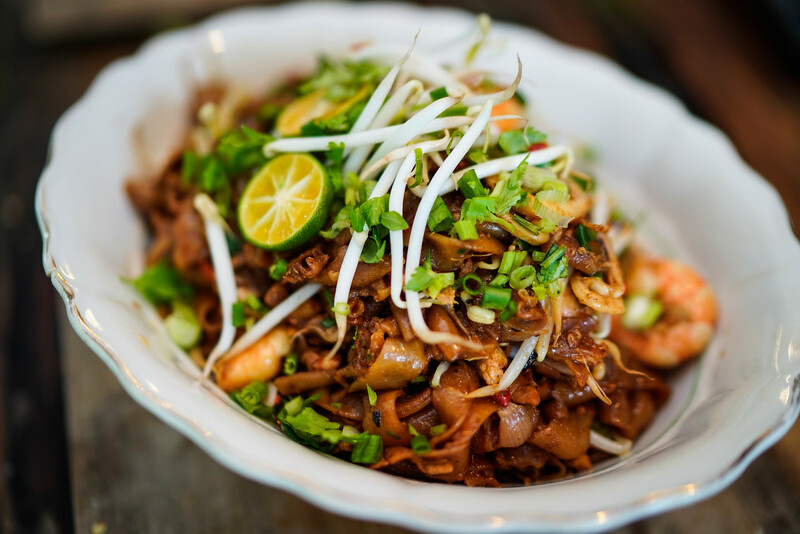 She knows exactly where to get her fresh seafood, meat, and even the flat noodles used for Char Kway Teow. “We cook with whatever local and fresh ingredients we have, and where better than going to the wet market here?” Ruqxana said with a smile. The exposure to various flavour profiles and cooking techniques in Singapore has inspired and sustained Ruqxana’s love for cooking. 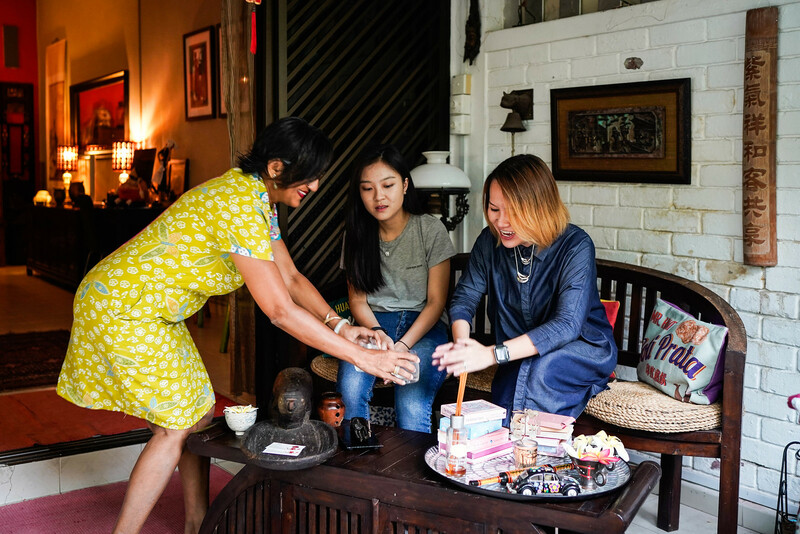 “Living in a multi-racial society is the greatest gift Singapore has given me. Every ethnic group is different, so you learn different things from different people. 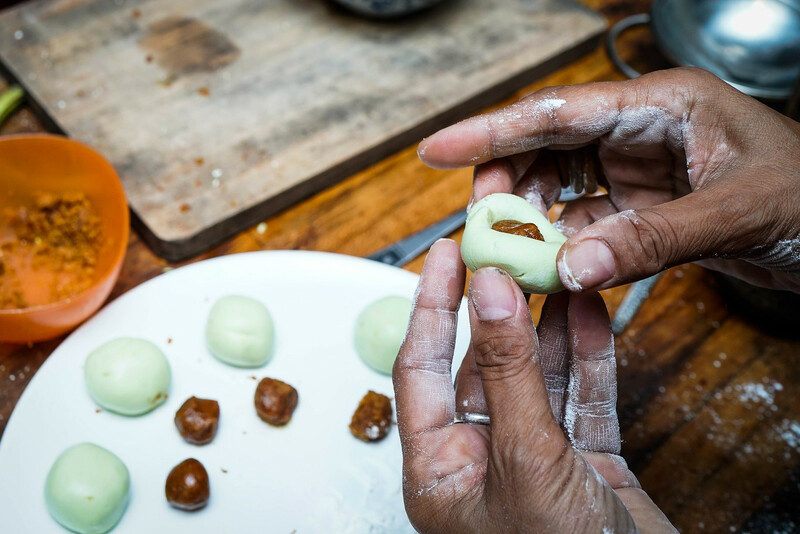 There are beautiful flavours that immigrants brought to Singapore 100 to 200 years ago, and over the years we’ve tweaked them and made them our own,” Ruqxana shared. 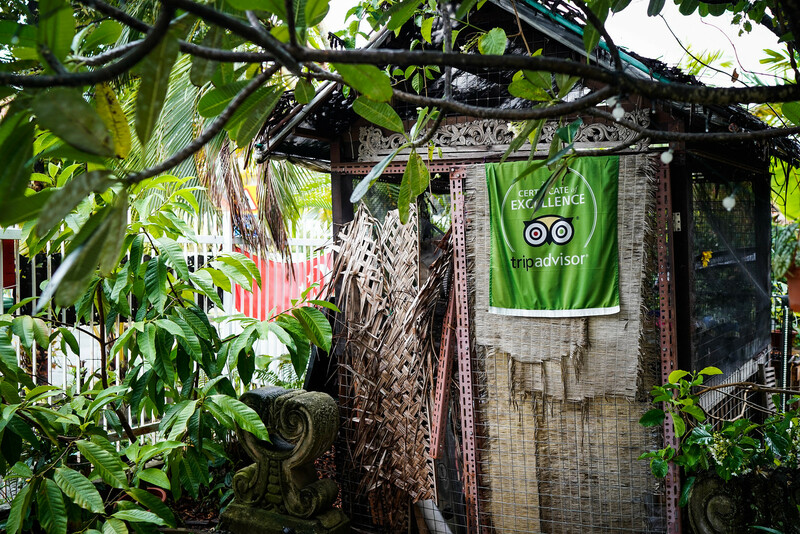 As for her favourite spot for local food, East Coast Lagoon Food Village is number one on her list. “I love the Mee Goreng!” Exclaimed Ruqxana with bright eyes. 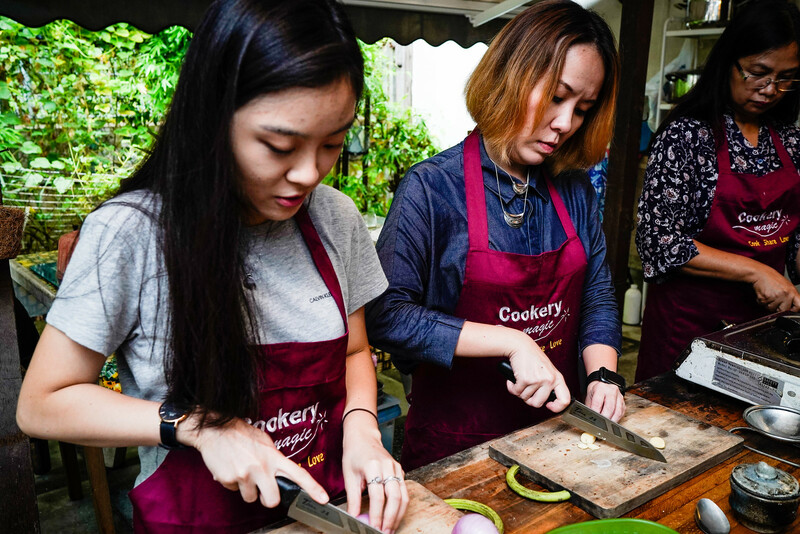 It wasn’t my first time attending a cooking class in Singapore, but attending one at Cookery Magic was indeed a unique and very fun experience. For many of us, when we’re taking a leap of faith to pursue a passion, it’s easy to be dissuaded by fear. There were uncertainties for Ruqxana in the beginning too. But she persevered and she has no regrets. Calling all Foodies! Do you know of anyone who has an interesting story to tell around food? An inspiring story about passionate foodies to share? 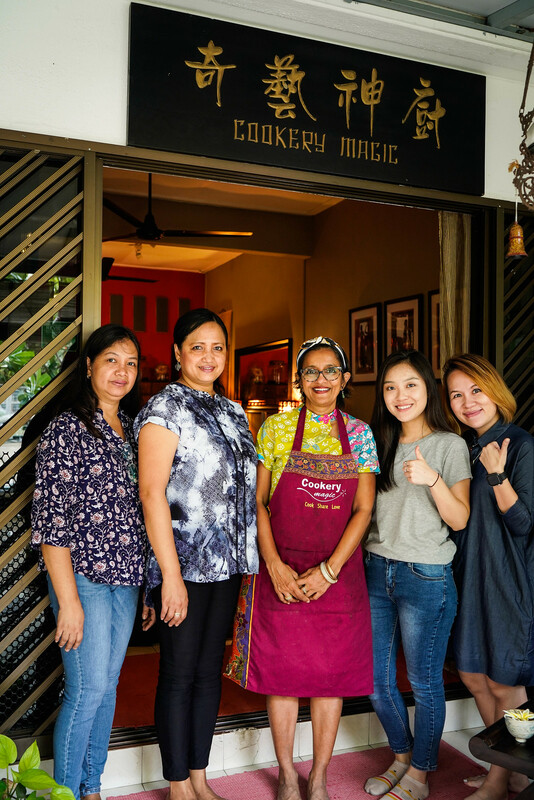 Share with me a local eatery, chef, or restaurant owner with an inspiring story like Ruqxana’s and how it exemplifies the Passion Made Possible spirit in Singapore. I will be checking out your recommendation personally! 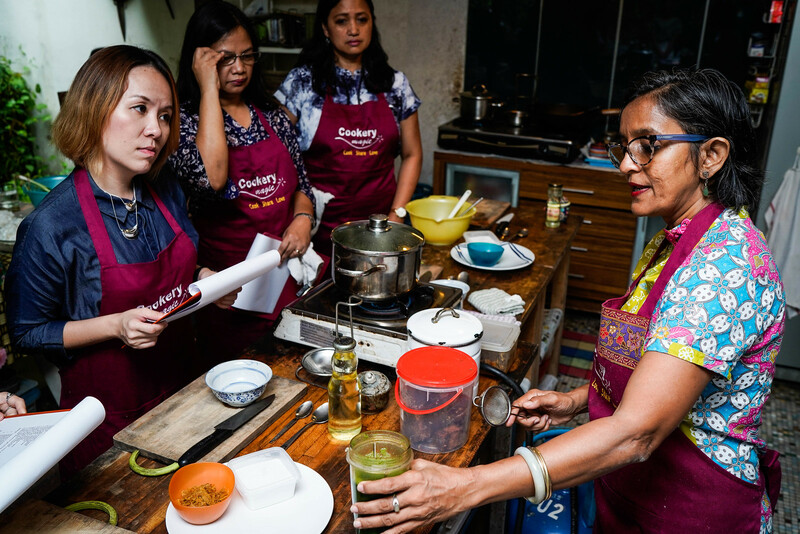 The most inspiring submission will be featured, and the contributor will be awarded a pair of tickets (worth $280) to Ruqxana’s amazing cooking class, where you’ll learn to cook 3 dishes in Ruqxana’s personal signature style.